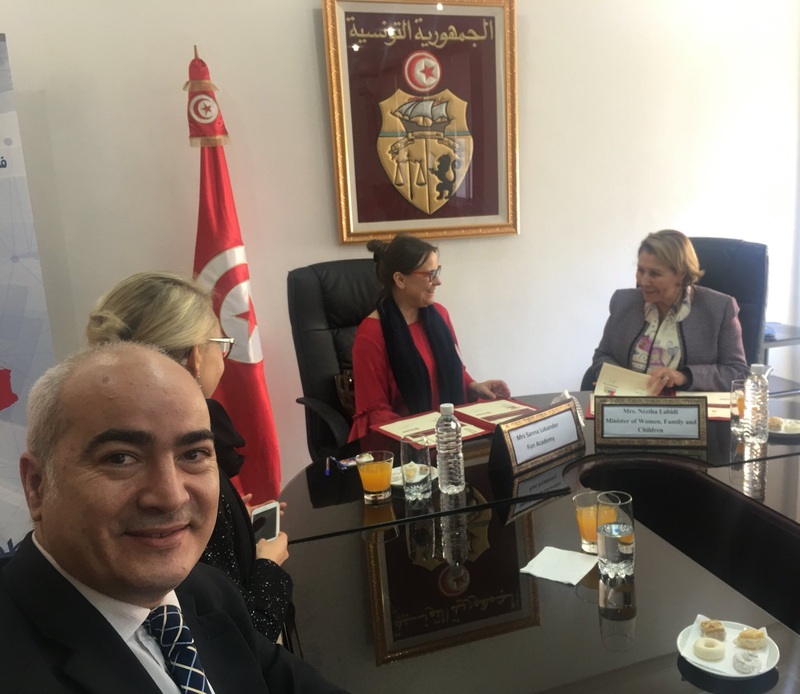 Tunisian Ministry of Women, Family and Childhood and Fun Academy are partnering to improve the capacities of early childhood institutions to provide quality and non-discriminatory pre-school education services in Tunisia. This partnership belongs to the overall strategy of Tunisian government on early childhood development and protection, where UNICEF plays a key role supporting the Tunisian government goals. This partnership belongs to a National strategy multisectoral on Early childhood development (2017-2025). The goal of the strategy is to ensure all the young children in Tunisia especially the vulnerable and disadvantaged children access quality integrated services through a common, harmonized and functional framework of action for the physical,cognitive, social and emotional child development with International and national technical support from the World Bank and UNICEF partnership. Through this partnership Fun Academy will support early education programs and projects. The main areas of collaboration will include professional development, training and support to early childhood educators and executives, adaptation of learning materials and tools to the Tunisian context and research on early education. Early childhood is a crucial period where children acquire essential motor, sensory, socio-emotional, cognitive, linguistic skills and healthy habits that will affect in their future development. And most importantly the absolute value of childhood deserves our respect and support. Positive early interventions for all children, especially for those vulnerable and disadvantaged, are considered as one of the most profitable actions with a positive impact on the lives of our children, future adults and future families. The return on investment is undeniable from both the perspective of the individual and the society.